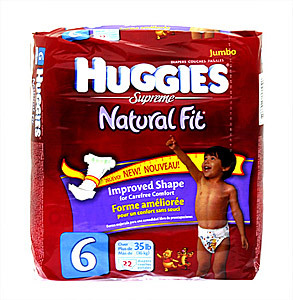 Jumbo Huggies diapers supreme natural fit. Improved Shape for Carefree Comfort. 22 diapers, Over 35Lbs. to help keep skin soft and healthy looking.